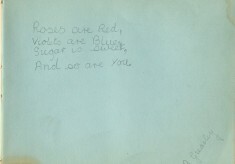 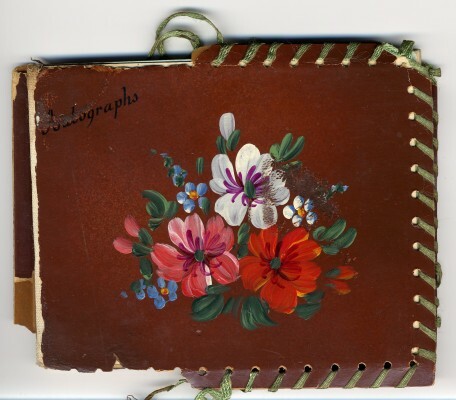 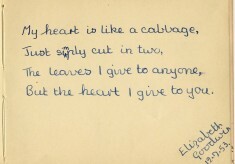 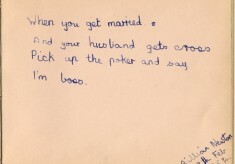 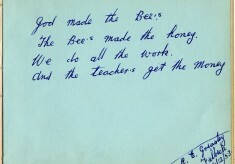 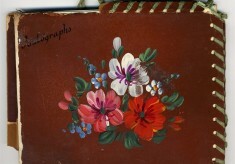 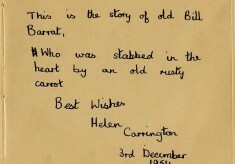 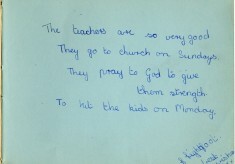 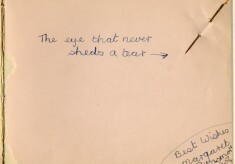 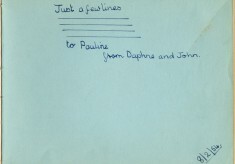 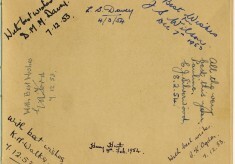 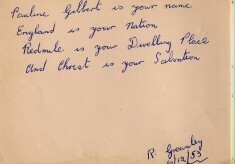 The external cover page of 1950s schoolgirl Pauline Taylor's book of autographs. 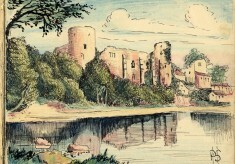 The book includes a beautiful watercolour sketch of Newark Castle. 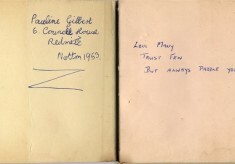 Photographs from Pauline Taylor’s (nee Gilbert) schooldays autograph album, with poetic dedications from her friends, pages of friends’ and teachers’ signatures, and a fine pen and wash picture by teacher Percy Stimpson. 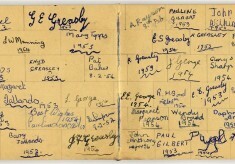 Just come across this delightful page: Elizabeth Goodwin (subsequently Hylton) is my mother!